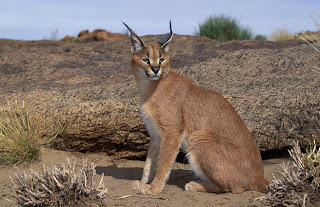 Animal Wildlife | Caracal | The caracal is also commonly known as the Persian Lynx or African Lynx despite the fact that the caracal is not a lynx at all. 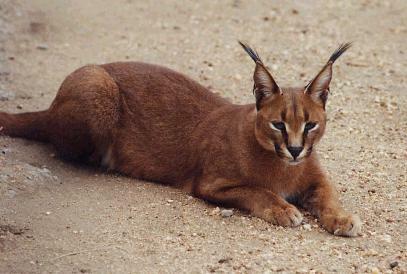 The caracal is thought to be most closely related to the African golden cat and the serval. The caracals name is believed to come from the Turkish word Karakulak, which means black ears. 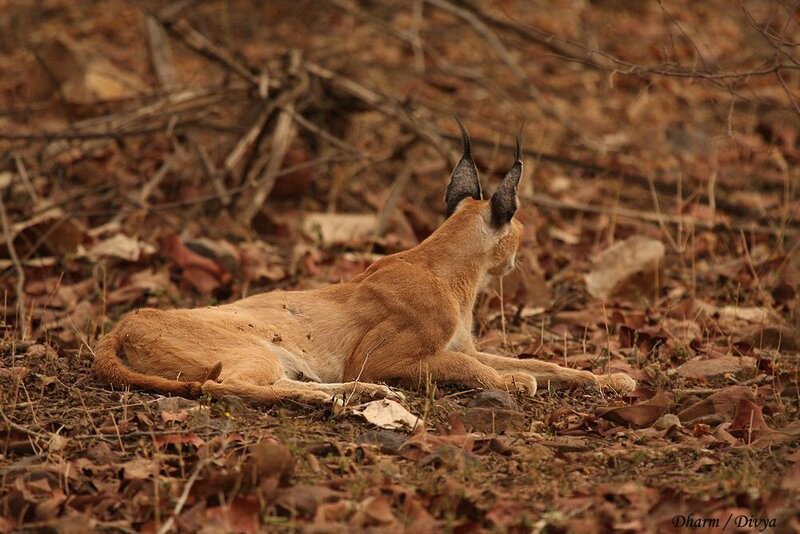 The caracal typically has 20 different muscles in the caracals ears which enables the caracal to detect prey. The caracal is a medium sized cat however, with the caracal, its size appears to make little difference on what the caracal hunts. Scientists have found dead ostriches with caracal tooth-marks in them, meaning that the caracal is fast enough to outrun and catch an ostrich, and strong enough to overpower it and kill it. The caracal has also been known to leap up into the air to successfully catch and kill flying birds. The caracals are excellent acrobats and can land safely. 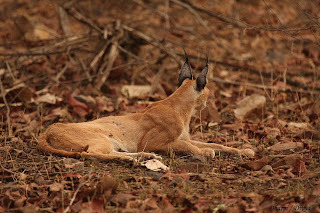 The caracal is normally dark red, grey, or golden sand in colour and as the caracals name suggests, the caracals ears are black, with tufts. 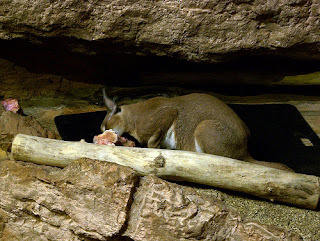 Young caracals bear reddish spots on the underbelly that disappear when they grow up. The caracal mainly hunts rodents, birds (including ostriches), antelopes, gazelles, and rabbits. The caracal tends to avoid eating very stiff fur by neatly shearing it off with their claws, but they are tolerant of feathers. 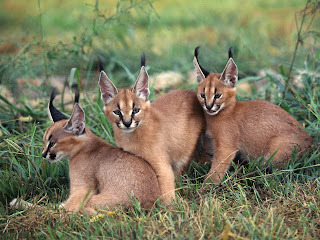 The caracal can live up to around 12 years in the wild, with some adult caracals living to 17 years old in captivity. The caracal is found in Africa and Southwest Asia, where the caracal prefers grasslands (savannas and tropical grasslands), and deserts. Good Information and nice pictures!